We are forced to think for a substitute when we come to know that on an average we use 7,665 gallons of water every year in the US. 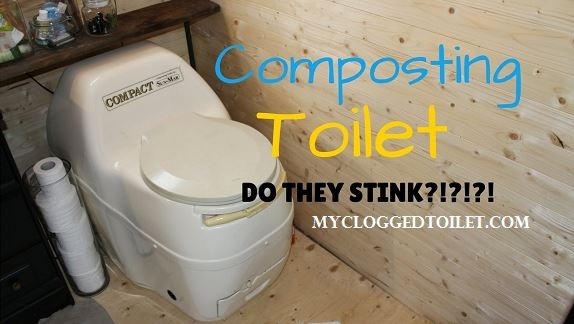 The composting toilets are a great alternative for such a problem. So in this post “composting toilet reviews” we shall discuss various aspects of the best composting toilet. Composting toilet system is a processing unit for toilet paper, human excreta and other waste material. These are also known as waterless toilets, dry toilets etc. The human excrement is mixed with coir, sawdust and peat moss to assist the aerobic processing and they absorb liquids and eliminate odor. This process in composting toilet is fast as compared to others like in septic tanks. This way all the waste is converted into a dry product which can be handled with least risk and can be used in the soil for plants and trees. Based on the processing system and assembly system the composting toilets can be of different types like active composting toilet, passive, self contained , centralized , in house and out of house toilets. We have already shown above some of the best composting toilets. But still there are some toilets which are necessary to be reviewed here so that you can decide in selecting the best toilet 2019 as per your requirements and affordability. This composting toilet from Nature’s Head is made in USA and it has a full size elongated toilet seat. It is a very user friendly as it can be easily installed and disassembled in few seconds for emptying the toilet. It has a hand crank agitator which provides faster composting. This hand crank handle is mounted in the base on either side of the toilet. It is molded designed totally self contained portable composting toilet. Fan and 5’ vent hose can also be mounted on either side of the toilet. It has translucent tank which gives you visual look at its capacity. For bulk clearing the rear side of the liquid tank is cut out. It also has a 12V power plug. As per the company you can go without dumping the toilet for 6 weeks. Overall it is great toilet. It works very well for various weathers. Its functioning is very smooth. This toilet is reasonable priced at $960 considering other expensive composting toilets. This Sun Mar toilet is a non electric composting toilet. It is perfect for off the grid applications. It has a low profile unit which goes well with any bathroom. It is 100% non polluting composting toilet which does not use any water. It is a self contained i.e. toilet seat and catchment chamber are located into one unit. This type of toilet is particularly good for places where space is a constraint. This toilet has a bio drum with adjustable diameter and a recessed handle for processing compost. This toilet very effectively and odorlessly converts human excreta safe fertilizing soil. This particular toilet model is good for medium to high capacity, it is perfect for a 2-3 people family in a residential accommodation or 5-7 people at a cabin on a weekend. These toilets have many more advantages. There is no need for taking wastes to the treatment centers. They save lot of water so environment friendly. Besides these pros these toilets are expensive and difficult to maintain.These toilets are safe to use provided you take necessary care and maintain proper moisture, oxygen and heat. We have shared some of the best composting toilets in this post namely composting toilet reviews. Just ascertain your requirements and select the best composting toilet out of above mentioned. Check this for regular toilet comparison chart. Copyright © 2019. Created by David Duke. Powered by My Clogged Toilet.